The LTC 9488/21 is an outdoor security camera housing from Bosch that is capable of delivering enhanced camera protection within a wide range of temperatures. The LTC 9488/21 camera housing is available with a preinstalled heater or a heater and blower, full camera accessibility, an aluminum and polymer construction, feed-through wiring options, as well as high compatibility for 1/2-inch, 1/3-inch, and 1/4-inch CCD cameras. The LTC 9488/21 camera housing also features a removable camera bracket, a 3mm UV-stabilized polycarbonate window, a dark mushroom finish, plus a wide operating temperature, and an IP65 rated enclosure for added protection. 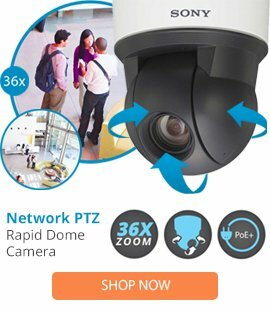 This highly advanced security camera housing is able to provide optimal protection and can be easily installed and mounted into place to ensure the camera is at full viewing capacity.